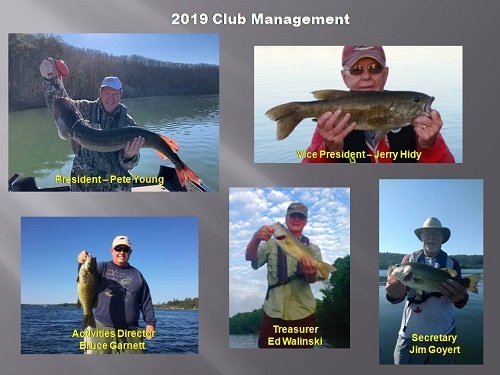 "The Fishing Club numbers close to 200 members and is built upon providing a forum for the sharing of knowledge through meetings, tournaments, and outings that promote fellowship, fishing techniques, and knowledge of local lakes". Regardless of experience, all those with an interest in or an enthusiasm for fishing are welcome. Membership is open to all Village and Rarity Bay residents and boat ownership is not necessary to be a member or to participate in Club activities. Dues are $15.00 annually. You can join anytime by mailing your dues to our Club Treasurer. Please see the "Join Now" section of the Club website for details. The Club meets ten times a year. Seven of our meetings are held the second Wednesday of the month at the Village Yacht Club from 7:00 pm. to 8:30 pm. Meetings include guest speakers who talk on a number of fishing related topics. See the Club website for schedule details. "Paper and Pencil" (catch-measure-release) Tournaments. See the Club website for schedule details. 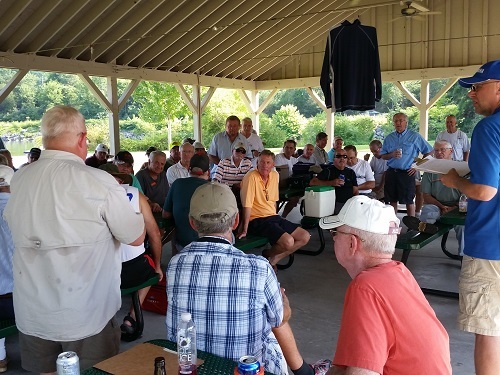 Member Picnic - Social - Award Night. See the Club website for schedule details. Please check out the Club website for further information and thanks for your interest.